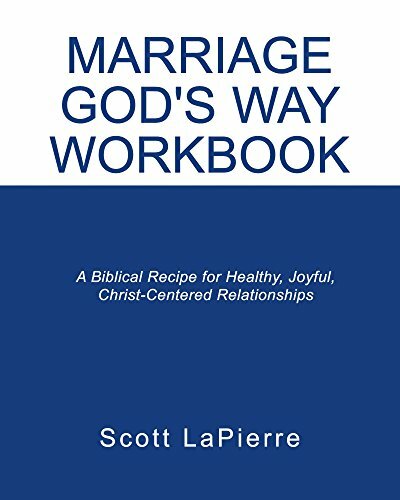 The perfect companion to Marriage God’s Way! Use this great tool in your marriage, small group, or church. It is perfect for engaged couples, newlyweds, and marriage veterans. • Wife: Second only to Christ, do you feel like the supreme relationship in your husband’s life? Why or why not? • Husband: When your wife is suffering, do you feel like she takes it out on you like Rachel did with Jacob (Genesis 30:1)? • Wife: What can your husband do to help you more easily resist the temptation to nag him?• Both: What do we have in our home that threatens our holiness, and how do we remove it? Regardless of the person asked, the purpose of each question is to help you have a healthy, joyful, Christ-centered relationship!